How much is Tim Wonnacott Worth? Tim Wonnacott Net Worth: Tim Wonnacott is an English auctioneer, antiques expert, and television personality who has a net worth of $2 million. 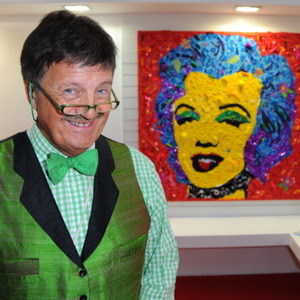 Tim Wonnacott was born in Barnstaple, Devon, England, UK in May 1953. Wonnacott graduated from West Buckland School in Devon, the Victoria and Albert Museum, and Brixham School of Performing Arts. He joined Sotheby's in 1978 and become a full Director in 1985. Wonnacott was appointed sole chairman of Sotheby's South. He left the company in 2003 after 25 years. He took part in the world's largest public art auction in 2004 outside Manchester's Town Hall. He has been a regular expert on the television series Antiques Roadshow. He took over as daytime host of the BBC One TV show Bargain Hunt in 2003. He has served as narrator for the TV series Antiques Roadtrip. He has also appeared on television shows such as Test the Nation, Ready, Steady, Cook, This Morning, Top Gear, Put Your Money Where Your Mouth Is, Royal Upstairs Downstairs, and Going, Going, Gone. He was given the key to the city of Plymouth in 2011. In August 2014 Tim was announced as a contestant on the 12th series of the reality competition Strictly Come Dancing.